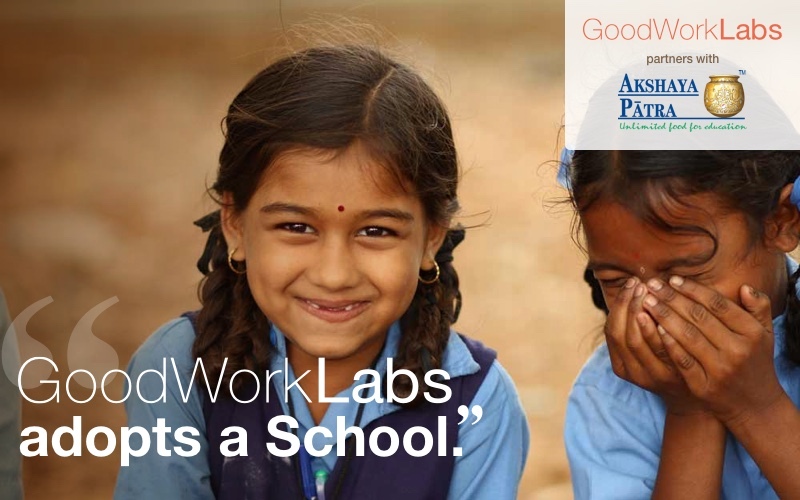 GoodWorkLabs has partnered with Akshaya Patra, an NGO that supports the “Mid-day meal” program launched by Government of India feeding over 1.4 million underprivileged students every day of the school year, in 20 locations, across 9 states in India. For children belonging to the weaker economic sections of society, a full meal, even once a day, is a strong incentive to stay in school. This program enables hunger free education and it has led to a significant rise in enrolment and attendance. This partnership has a simple but powerful mission – to change the trajectory of countless lives in our community. 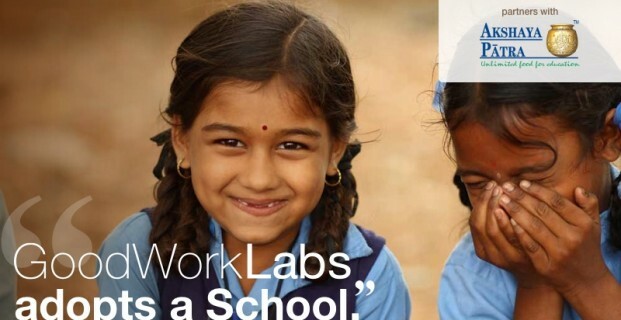 GoodWorkLabs is happy to announce that we are sponsoring the mid day meals for an entire school in Karnataka for a whole year, and will continue to adopt more schools every year. To know more about GoodWorkLabs CSR activities or to partner with us for corporate social endeavours, do contact us.